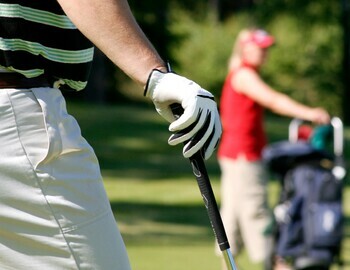 Many golfers look to update their golf equipment during the offseason. One critical piece of gear that often goes unnoticed is your grips. During a season your grips lose much of their tackiness and can even become visibly worn. Grips should be changed at minimum, once a year and possibly twice a year if you have a busy practice and playing schedule. Since your hands only interact with the grip end of the club, it is crucial to choose the correct grip from all the options out on the market. Golf grips come in all different sizes, textures, feels and even colors. It is very important to choose one that fits your hand properly and feels good on both a full swing and during a delicate chip shot. Just like you can get fit for clubs, you can also be fit for your grips. Below are two popular grip companies’ grip selectors.